Several computer languages are widely used in video game design. If you are planning on becoming a video game designer or developer, it is important to become an expert in all of the languages that are used to turn code into high-definition images that can manipulated for entertainment. The first step to becoming an expert is to enroll in a game design or another type of computer programming degree program where each of the computer languages is covered in depth from a programmers perspective. Here is your guide to the most popular computer programming languages that you will need to learn as you become an experienced software developer. C++ is a widely known and widely used computer programming language that is object oriented and has numerous tools. These tools make it possible to embed extensions to make more and more routines possible. While all of the big console games that are popular on the market are developed on platforms where C++ serves as the best option, both C and Assembly languages will be used in conjunction with C++ for the lower level modules. Pronounced in the field as “C-sharp”, the C# computer language combines principles from both the low-level C language and the intermediate-level C++ language. As a general purpose programming option, C# can only be used to develop games that are played on Microsoft platforms or Windows platforms. What is interesting is that C# can be used on for programming both computer games and console games as long as they are one either one of these platforms. Even if you do not plan on developing software on either platform for the time being, knowing C# is very important to a designer in the industry. If you would like to get experience designing a game on your own, there are high-level languages like Python and Ruby that are specifically used to develop websites and also to develop mobile games and other types of mobile applications. Python is a server-side language and Ruby is a object-oriented language, but each are easy to write or express concepts. One drawback of these languages is that they cannot be used for most of the game code. While there is a set of programming languages that can be used across the board to design or develop gaming applications, some of the larger developers will take the time to develop their own codes, languages, or variations in dialects. Some of the examples of these languages include: id Software’s QuakeC and Epic’s UnrealScript. To learn these custom languages you may need to work for the developer or take advanced curriculum. If your goal in life is to become a video game designer on any platform, the first step is to understand programming languages and software programs. 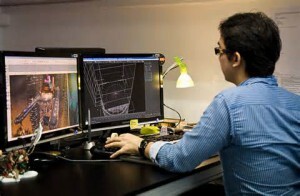 To do this, you will need to earn a bachelor’s degree majoring in game design or even majoring in computer science. If you have a passion for gaming and a creative eye for design, learn how to distinguish one computer language from the next and become a talented designer.